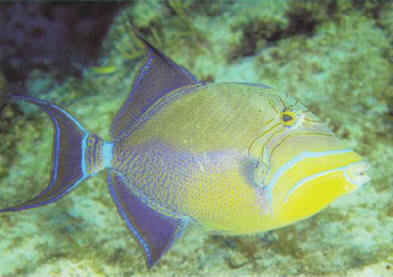 The queen trigger fish, native to the tropical Atlantic - the others come from the Indo-Pacific region - is one of the most placid. It is easy to acclimatize and grows quickly - sometimes up to 50 cm. Size: 30-50 cm. АМФИБИИ , то же, что земноводные.